Today I’m talking with Peter Blackaby who is the author of the book Intelligent Yoga which he is currently writing the 2nd edition for. Pete started practicing yoga in 1978 and began teaching in 1986. He then went on to become an osteopath. In 2002 he became involved in the British Wheel of Yoga (which is the governing body in England), and ran a two-year teacher training program for them. Since then, Pete has been running courses for teachers and teaches functional anatomy and biomechanics in the UK and internationally. His interest in the last 15 years has been to put some scientific underpinning to the practice of yoga, both in the biomechanical sense and in the mind/body relationship. In today’s conversation we’re talking about moving away from the Western reductionist view of anatomy, what a bottom up approach to yoga looks like vs. a top down approach, how the whole person’s lived experience is tied into how they move, and how yoga teachers can approach working with students who have chronic pain. Leslie has been a yoga educator for the last four decades and is an internationally recognized specialist in the fields of yoga and breath anatomy. He leads anatomy and yoga methodology workshops for many of the leading yoga associations, schools and training programs in the world. He is the co-author of the bestselling book Yoga Anatomy and the founder of The Breathing Project. Leslie has also helped to organize international yoga conferences while serving as Vice-President of Unity in Yoga, and was part of the committee that established national standards for yoga teacher training. In today’s conversation we’re talking about what it was like to have a front-row seat for the birth of the fitness and yoga industries in the United States, concepts related to breath and breath anatomy, and the art of teaching and the importance of creating an atmosphere of inquiry in yoga classes in order to honor students’ individuality and allow for deeper insights. Today I’m talking with Amy Matthews. Amy has been teaching movement since 1994. 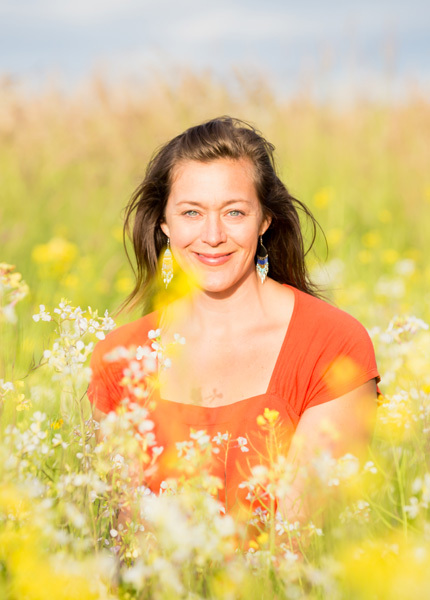 She is a Certified Laban Movement Analyst, a Body-Mind Centering® Teacher, an Infant Developmental Movement Educator, and a movement therapist and yoga teacher. Amy is also the co-author of the best-selling book Yoga Anatomy, and together with Leslie Kaminoff Amy teaches The Breathing Project's Advanced Studies courses. In today’s conversation we’re talking about Laban Movement Analysis and Body-Mind Centering, developmental movement work, and what that means for infants- how they can get a solid foundation for personal agency and emotional regulation through movement, and how developmental movement work helps adults as well. We also talk about embodied teaching, how teaching is its own art form and how it can also call forth a student’s personal agency. Katy Bowman is a biomechanist and the founder of Nutritious Movement. She is the author of several books including Move Your DNA, Whole Body Barefoot, and her most recent collection of essays, Movement Matters. In today’s conversation we’re talking about the ecology of movement. How does your movement affect not just your health but also humans everywhere, even ones you’ve never met, and how does it affect the health of the planet as a whole? We discuss the real impact of our sedentarism and our drive for convenience, and how movement can be a very profound and impactful form of activism. Today I’m talking with Mark Walsh, an embodiment specialist who is the creator of the Embodied Facilitator training, Integration Training, Embodied Yoga Principles, and Purpose Blackbelt. His work in embodiment has taken him to a wide range of organizations and communities, from businesses in the UK, to the Middle East alongside the UN, the slums of Brazil, an HIV organization in East Africa, and many other places. In our conversation today we talk about what embodiment means, some of the ways embodiment is being misunderstood, how lives change with embodiment, what the consequences are of living in a disembodied time culturally, and, considering that the world is in a pretty inflamed place these days, we take on how those of us who work with the body can be activists- how our work makes the world a less traumatized and traumatizing place. I’m talking with Leslie Kaminoff, Amy Matthews, and Peter Blackaby about our upcoming somatic symposium at The Breathing Project in New York this April called Beyond Anatomy. We talk about what “beyond anatomy” means to each of us and what some of the specific things are in our own learning trajectories that we are exploring at this point.